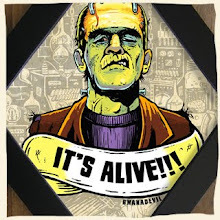 Psychobilly Invasion Over Europe Part II! 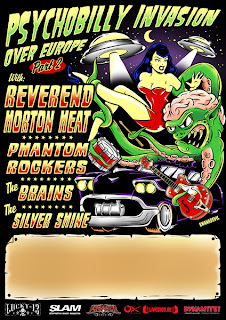 Our newest design for the Psychobilly Invasion Over Europe Part II fest is done! If you're in Europe you can't miss this awesome festival. 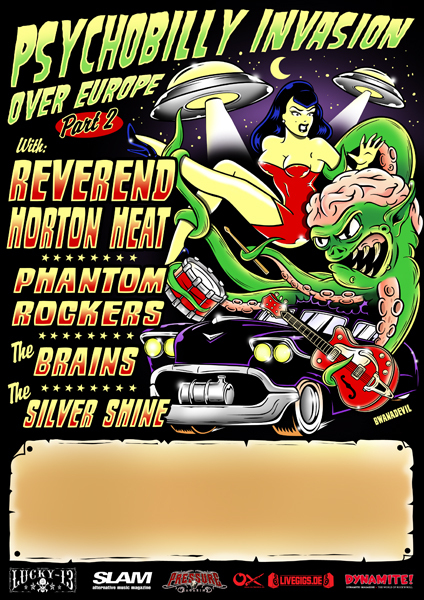 The bands playing on this year's tour all over the major cities in Europe are Reverend Horton Heat, Phantom Rockers, The Brains and The Silver Shine. 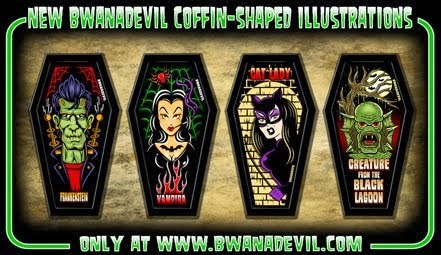 For more info on locations and tour dates visit http://www.bwanadevil.com/ or click the following link to go directly to BwanaDevil's work for bands & events for all the info you need to know about this great event! Better see y'all there! 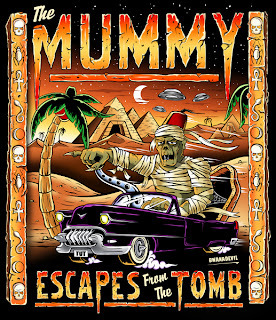 The Mummy Escapes From the Tomb! 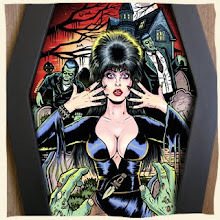 New print! 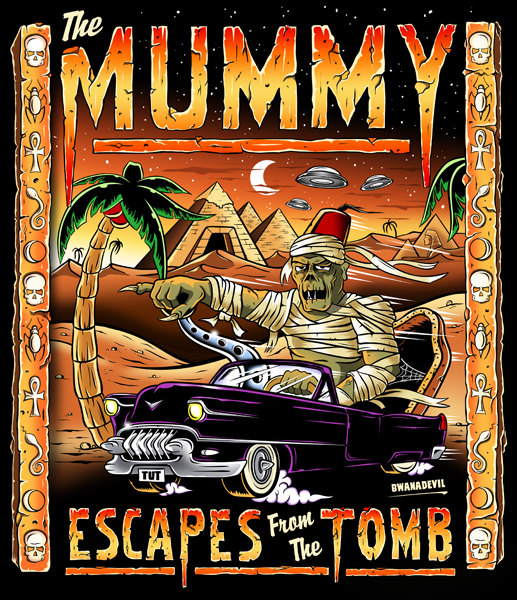 BwanaDevil tribute to The Mummy, Hot Rods and the 50's Sci-Fi B Movies!